With regular lessons available for those wanting to brush up on their golfing skills, our qualified club professionals regularly conduct skill building sessions for both the experienced golfer all the way through to people who have never played the game. Our resident club professionals come with a wealth of knowledge and are on hand to help improve your golfing game. 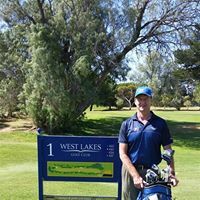 Chris started playing golf in the early days at Hahndorf and Mt Lofty Golf Clubs and decided on a golf career at 16 where he started a PGA trainee ship at Flagstaff Hill Golf Club. Chris moved to Riverside Golf Club (now West Lakes) in 2003 and has worked hard to improve the Pro Shop facilities and services on offer to members and visitors to the club. Chris maintains a high quantity of premium golfing equipment in the Pro Shop with club fittings and teaching his specialty. Chris can be contacted in the Pro Shop on (08) 8268 3054. Brian is an active and enthusiastic member of the Australian PGA. He loves helping golfers play better, shoot lower scores and enjoy their golf more. He has a holistic approach to golf and to the learning of the game. He’ll work with you, listen and create a fantastic environment for you to improve your golf. His students gain a clear understanding of what they need to do and what they need to practice to take their game to the next level. Perhaps the expression “I don’t teach golf, I teach people.” Might best sum up Brian’s philosophy to teaching and helping people improve and get more fun out of the game. Brian is a quality golf coach and has been involved in the golf industry in a variety of positions his entire working life but its coaching and working with people which is his forte, and his passion and it’s this passion that has seen him return to full time coaching throughout his career. Golf and golf coaching has seen Brian work and teach in Adelaide, travelling extensively throughout SA, ply his trade in WA, and taken him for an extended stay coaching in Singapore and a full circle back to Adelaide. Brian has and continues to coach and work with a variety of golfers of different ages and skill levels, from young children to the more seasoned golfers. Beginners to National Champions. He is an excellent communicator and has a patient manner. At the end of each lesson you’ll have a clear understanding of what you need to do and what you need to practice in order to improve.